Classic red wreath is a beautiful tribute to your loved one. 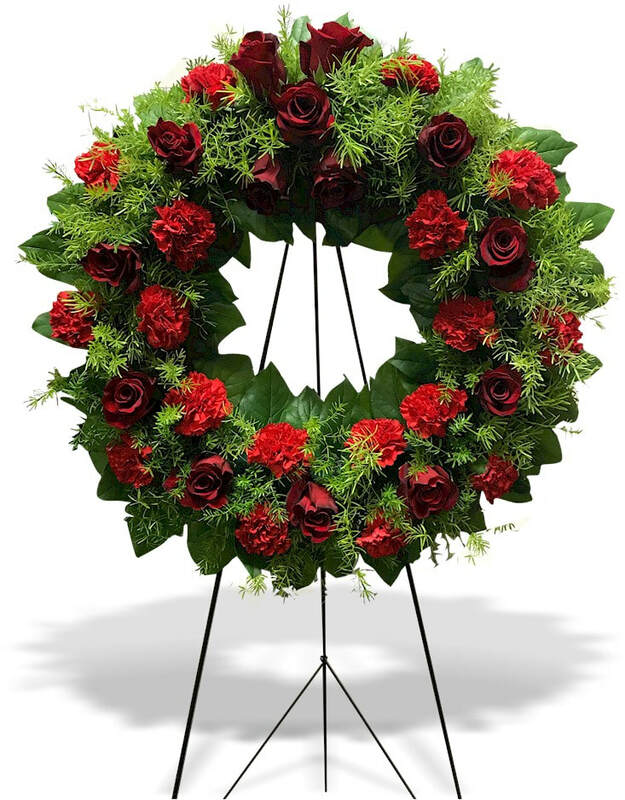 Wreath includes red roses and red carnations arranged on fresh greenery. Wreath with flowers is 24".